Hi, this is root tutorial of Micromax Ninja A89. 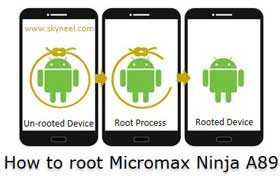 It is safe and easiest method for root Micromax Ninja A89. In this process you don’t need PC. Micromax Ninja A89 is powered by 1GHz Dual core processor and 3.97 inches TFT touchscreen with 480 x 800 pixels Resolution with 256k colors. Micromax Ninja A89 run on Android 4.0 OS. Micromax Ninja A89 has superb performance, you must be root your phone, because root allows for you to use a maximum of your phone without any restrictions. After root you can install custom Rom, custom setting and apps on your phone. Read Root Advantage and Disadvantage by this post, then follow these steps and root your phone. 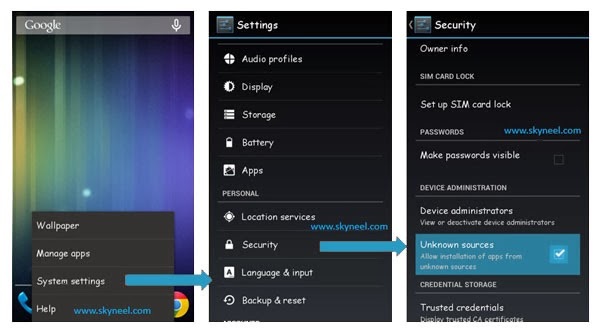 It is must for you to know how to unroot your phone. When you feel that you don’t want rooted phone, then you can easily un-install the root app and unroot your phone. Here are simple steps to unroot Micromax Ninja A89. You can also see an unroot process in this image.